Advance notice and coordination of planned street work is one of the most effective tools for reducing the number of street excavations, especially on streets that are scheduled to be resurfaced or reconstructed. Street excavators, including utility companies and developers, can access New York City Department of Transportation (NYC DOT) data and attend NYC DOT coordination meetings to facilitate effective communication regarding planned street work. 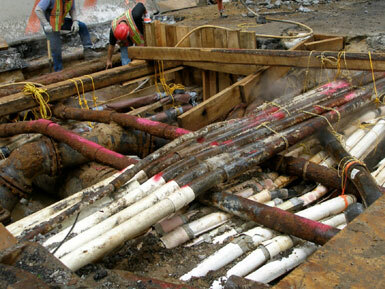 Thousands of miles of utility pipes, cables and other equipment are beneath the streets of New York City. The installation and repair of this infrastructure is crucial to maintaining and strengthening the city's competitive position in the global economy. Inevitably, street excavations to install or access this infrastructure disrupt the normal activity of New York's streets, causing frustration and confusion for local residents and businesses. 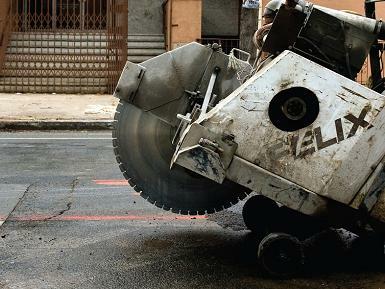 Street excavations also adversely affect the condition of the streets, reducing the number of years the pavement would otherwise be expected to remain in good or excellent condition following resurfacing or reconstruction, and increasing repair and life cycle costs for the city. The goal of advance coordination is to reduce the number of excavations in New York City streets. To this end, this chapter discusses existing mechanisms that help inform utility companies and other potential street excavators of impending NYC DOT work, including how to access information on NYC DOT's planned capital projects, weekly street resurfacing schedules, "protected street"* information and other data that can help to facilitate effective communication regarding street work. It also outlines principles for coordinating with NYC DOT when proposing excavation work to help make certain that excavation on streets occurs before or in conjunction with city street work, where practicable. NYC DOT project locations, protected streets, and other maps are available online at the Department of Information Technology & Telecommunications (DoITT) NYCityMap website and the DOTMap portal. Permittees can use these maps to make informed decisions while planning new projects. Advance notice and coordination of planned street work is one of the most effective tools for reducing the number of street excavations on newly resurfaced or reconstructed streets. With advance notice of proposed excavation work, NYC DOT can sequence the timing of the large number of roadway and utility works being undertaken across the city. Similarly, the sooner a potential street excavator knows about NYC DOT's intent to work in a particular location, the better it can make arrangements to avoid or reduce potential conflicts. New York City streets include a complex mix of assets such as electric, gas, telephone, cable, water, sewer and steam lines, requiring coordination among the different asset owners when street work is performed.